$100 SEATS SPECIAL ON SHEN YUN TICKETING: Use code JOY100 to waive $10 ticketing fee. Code is invalid on other websites. 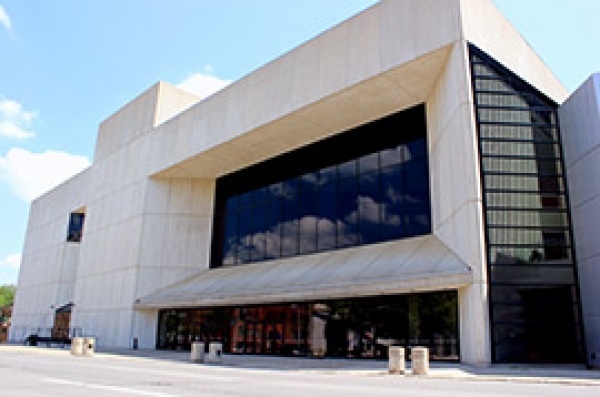 In June of 1979, the Des Moines Civic Center opened its doors to the public. The magnificent structure was designed by the Des Moines architectural firm of Charles Hebert & Associates. The Civic Center features a 76-foot wide by 28-foot high proscenium stage, which is the focal point for a fan-shaped continental seating area that accommodates an audience of 2,744. Audiences enjoy excellent sight lines with this seating design and no seat is farther than 145 feet from center stage. Two spectacular, triangle-shaped lobbies with 50 foot ceilings, glass walls, skylights and elevated walkways complete the public areas of the building. The Civic Center also has a flexible performance and meeting space called the Stoner Theater. Located on the ground level of the Civic Center, the theater seats as many as 200 people. Learn more about accessibility, hotels, restaurants etc. through the Des Moines Civic Center visitor's guide. Or visit the homepage of Des Moines Civic Center.